Hummingbirds were one of the first subjects of high-speed photography. 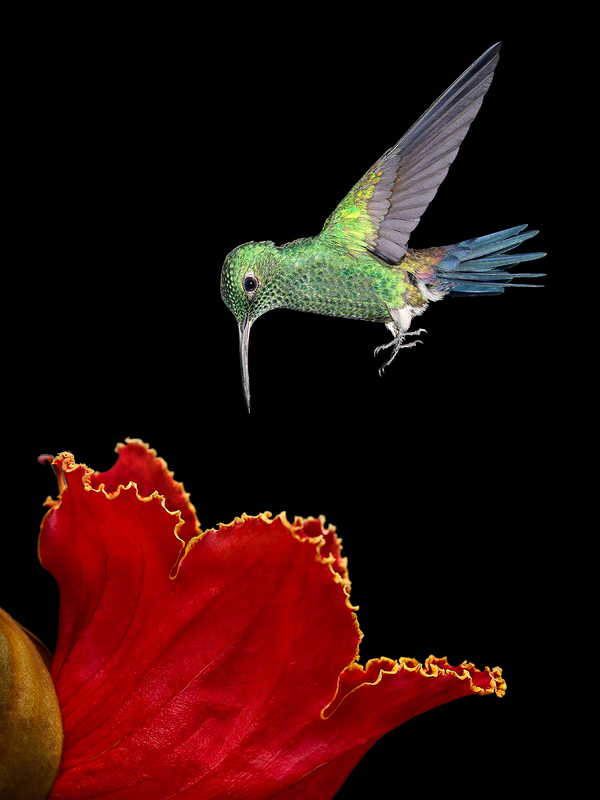 Cindy Walpole and Chuck Fritsch will discuss the history of high-speed photography and its application to hummingbirds. They will share their methods for getting good images of hummingbirds in flight with minimal equipment and introduce some of the concepts that are the foundation of multiple flash high-speed photography. Hummingbirds of Costa Rica are the basis of an ongoing joint project. 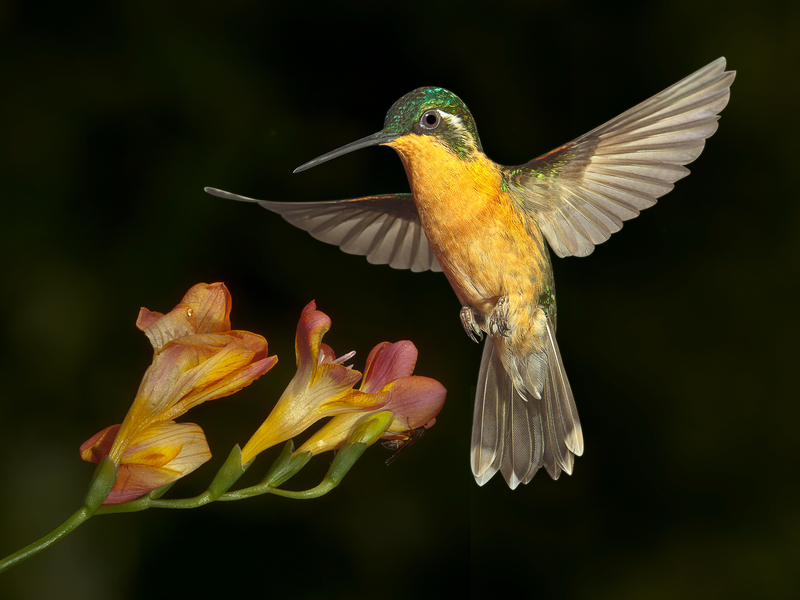 There are about 50 different species of hummingbirds in the varied micro climates of our small mountainous country. They range from the endemic and endangered Mangrove Hummingbird found in the Pacific lowlands, to the rainbow-colored Fiery-throated at 11,000 feet. By comparison, in the US, only one species, the Ruby-throated, is generally seen east of the Rocky Mountains. Chuck and Cindy’s goal is to enhance awareness by creating hummingbird-based artwork that reveals their extraordinary beauty. They hope to stimulate the political will and gather the international support that will ensure a bright hummingbird future. Cindy Walpole and Chuck Fritsch’s fine art images have been exhibited at The American Museum of Natural History, The Smithsonian Institute,The San Diego Museum of Natural History, and The National Museum of Costa Rica. View images, follow Cindy and Chuck’s work, and sign up for their newsletter at FocusFrogStore.com/.